Due west of historic downtown McMinnville, home to top-notch restaurants, charming boutiques and urban wine tasting rooms lies the highly regarded McMinnville AVA. Located in the Coast Range Foothills of Yamhill County, the AVA is a sub-appellation of the all-encompassing Willamette Valley AVA. It is here where the influences of a remarkable geological history and an ideal climate have combined to set the stage for our areas winemakers to produce consistently world-class wines. Dotting the pastoral countryside, the McMinnville Winegrowers Association’s eight member wineries, Brittan Vineyards, Coeur de Terre Vineyard, Coleman Vineyard, Hyland Estates, J Wrigley Vineyards, Maysara Winery, Yamhill Valley Vineyards and Youngberg Hill make wine and grow grapes in this rich, agricultural environment. Additionally, several member vineyards are located in the AVA that supply fruit to some of the most prestigious wineries in Oregon. These include Bellevue Cross Vineyard, Hyland Vineyard, Meredith Mitchell Vineyard and Morning Mist Vineyard to name a few. The significant geological history here has helped to shape a highly complex and varied terroir. The story of our soils begins roughly 38-55 million years ago when the Cascade Mountain lava flows and tectonic plate movements created the Coast Range Mountains. 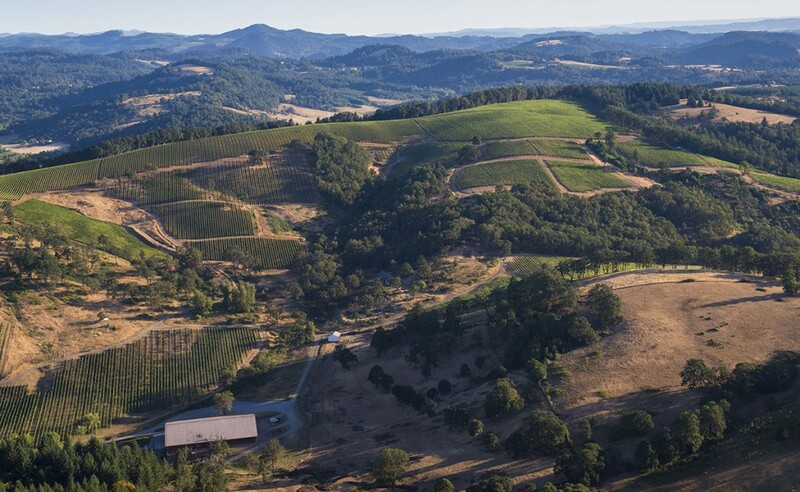 Plate movements exposed ancient and weathered soils in the foothill regions where the AVA is located. The lava flows created ‘basal lava fingers’, noticeable amongst marine soils in the AVA vineyards. The soils are primarily uplifted marine sedimentary loams and silts with a base of uplifting basalt. Harder rock and compressed sediments of basalt pebbles and stone are found under an average 20-40 inch soil depth, giving the McMinnville AVA a unique soil complexity on which to grow our grapes. In addition to the eclectic combination of soils coating our region, the climate of the McMinnville AVA helps to create optimal conditions for viticulture. Primarily east and south facing slopes sit in a protected weather shadow of the Coast Range Mountains with rainfall lower than sites 12 to 20 miles to the east. Chilling winds are avoided in the Spring and Fall as the foothills provide continuous protection from many unstable weather patterns during those times of the year. Vineyards placed on more southerly sites take advantage of the drying winds from the Van Duzer corridor, which helps control mold and mildew on the grapes during humid summer days. During harvest, all of these conditions allow winegrowers to let their grapes hang on the vine, allowing flavors to intensify, gaining even more layers of subtlety in the finished wines. Most importantly are the flavor profiles of the wines created by this unique growing region. Pinot Noirs exhibit concentrated flavors of blackberry, currant and cherry, rounded out by spice and earthy tones. A strong backbone of fruit tannins and acidity add age-ability to these elegant red wines. White wines of the McMinnville AVA such as Pinot Gris, Pinot Blanc and Riesling are also celebrated for their brightness, texture and fruit forwardness. The McMinnville AVA currently has over 1600 acres of wine grapes planted and continues to grow in size. Many of our wineries are open daily for tasting and others gladly accept appointments.